Although a pageLink control can be used to show counts (totals), it can be slow, because it must load the target page before it counts the number of rows. Additionally, the count that is calculated can be incorrect, because there is a limit on the number of rows that are retrieved. 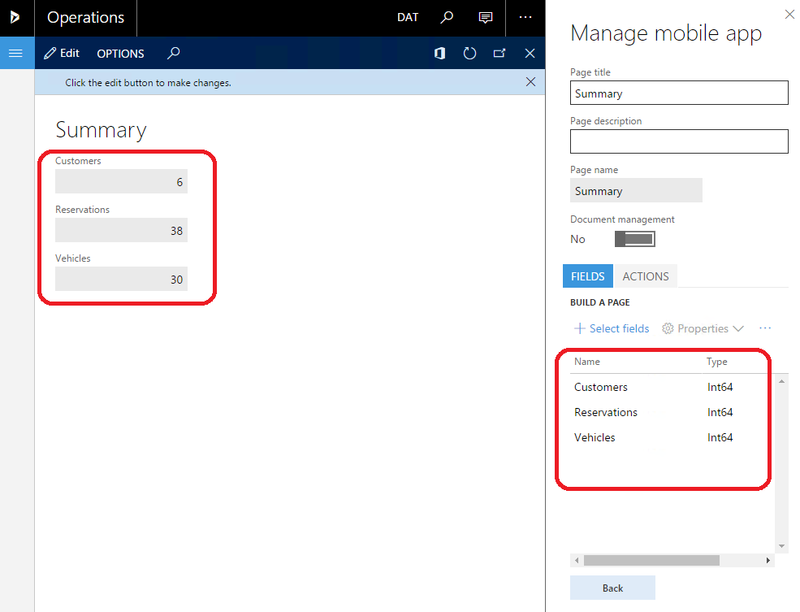 If you want to make mobile workspaces work more quickly, we recommended that you use a regular field to show the count and then model the field as a pageLink control in the mobile client. Follow these steps to configure the workspace page to use the recommended approach. 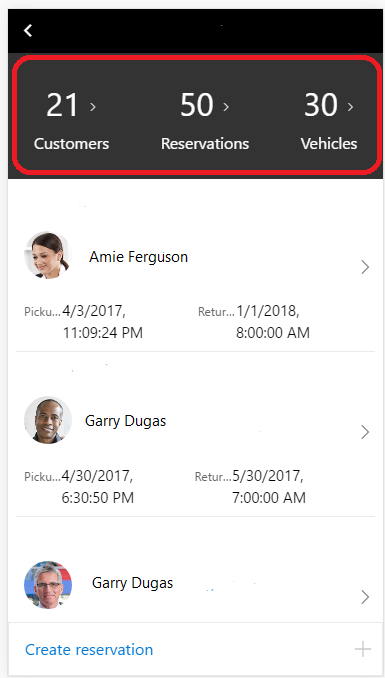 On the server, create a new form to contain fields that are also on the server. (You can also add the new fields to an existing form). In the following illustration, a new FMMobSummary form is created that has three fields. Create a page by using the mobile app designer for the FMMobSummary form. Update the business logic to transform the fields into a pageLink control. Use the configureControl method to add a navigation target to the fields. The fields are then configured as pageLink controls. The arguments for the configureControl method are the page name, the control name, and an object of properties that must be updated. Update the workspace design. Embed the summary page as a part in the workspace page. Reference the fields that are now configured as pageLink controls. 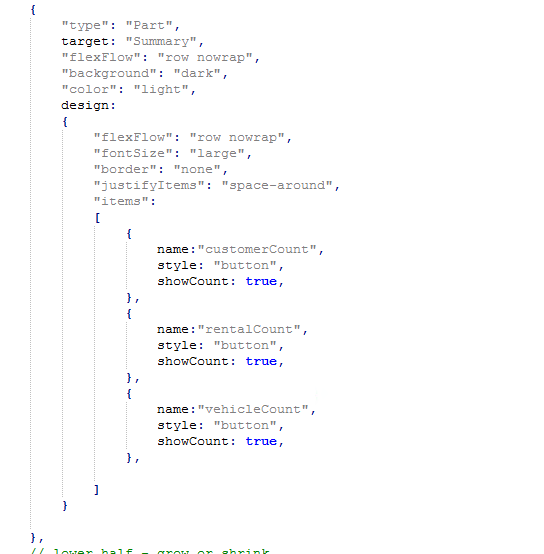 Provide a style, and set the showCount:true property, so that the count is shown on the pageLink control. By using this approach, you also get the localized labels for pageLink controls. The result is a much faster experience when workspaces are loaded. Пікіріңізді тікелей GitHub қызметінде де қалдыра аласыз.